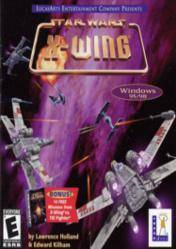 The following list is a comparison of stores selling digital games, official and unofficial, selling cd key for Star Wars: X-Wing Special Edition. Prices are ordered from smallest to largest, so it will be easier to locate the best prices and deals Star Wars: X-Wing Special Edition cd key and thus to decide in which store buy it. In addition, each of the exposed stores have a detailed description of the payment methods that you can use with the valuations of our community, which will be easier to decide on the various options available. Remember that all stores outlined in price comparison, which sell a digital version of Star Wars: X-Wing Special Edition which you can download from the official download platform Steam and GoG, have been thoroughly tested and evaluated by our team, which guarantee a good shopping experience and 100% reliable. In a few clicks, you can purchase the cd key for Star Wars: X-Wing Special Edition, quickly and comfortably. There are no comments yet about Star Wars: X-Wing Special Edition . You can be the first one! Star Wars: X-Wing Collector's Edition - Ep1 - A New Recruit!